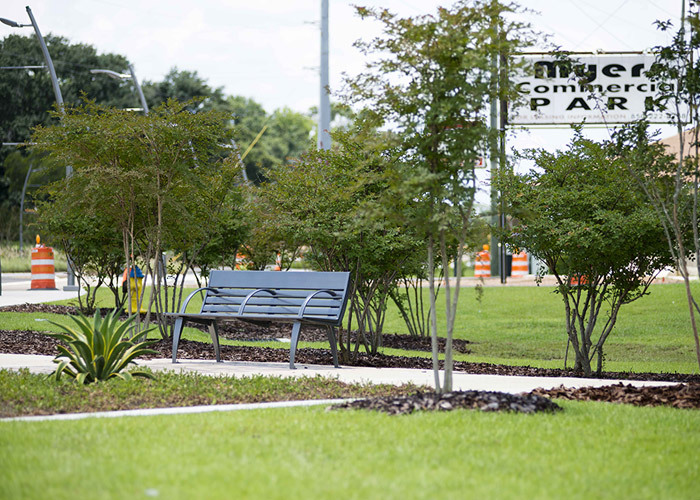 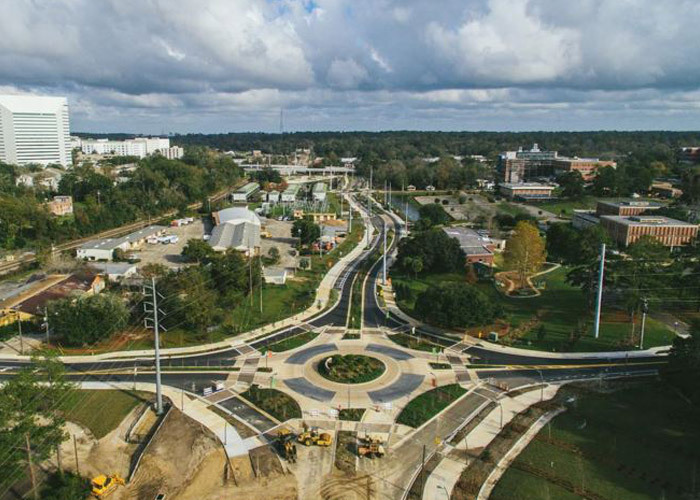 FAMU WAY – Capital Cascades Trail | M of Tallahassee, Inc.
Construction of this project will be completed in Summer 2016 and revitalize a central corridor of historic downtown Tallahassee, located adjacent to Florida A&M campus and the Railroad Square art park. 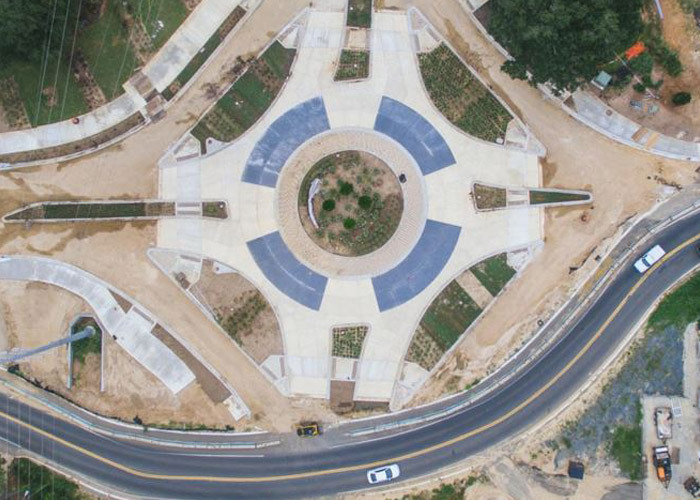 Features include three traffic roundabouts, shared use trail, playground and splash pad, vendor market area, LED-synchronized lighting, as well as many other specialty site furnishings. 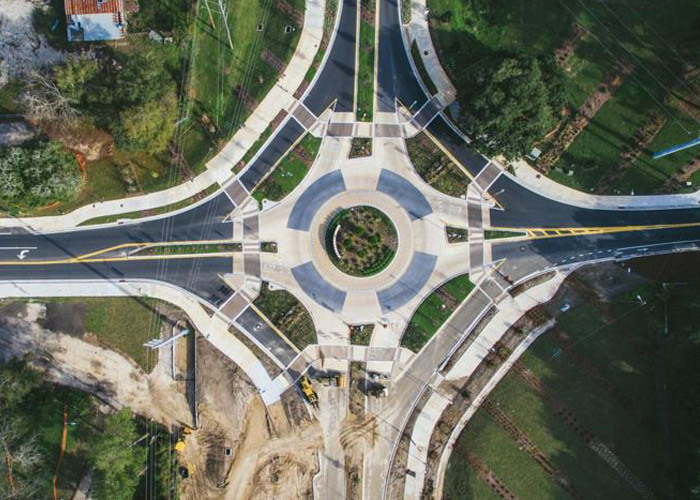 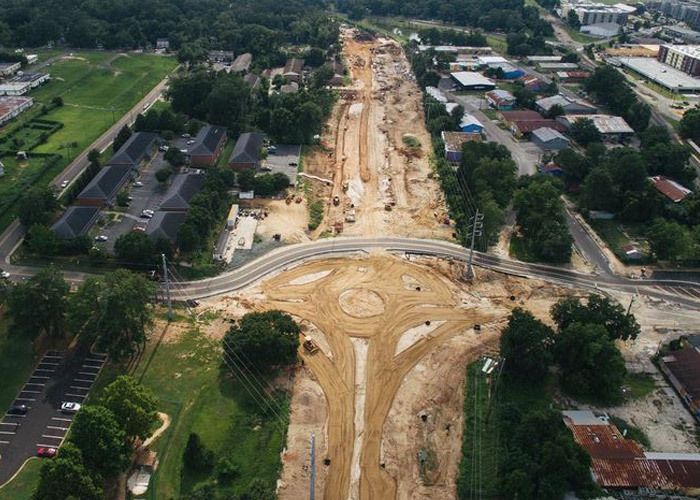 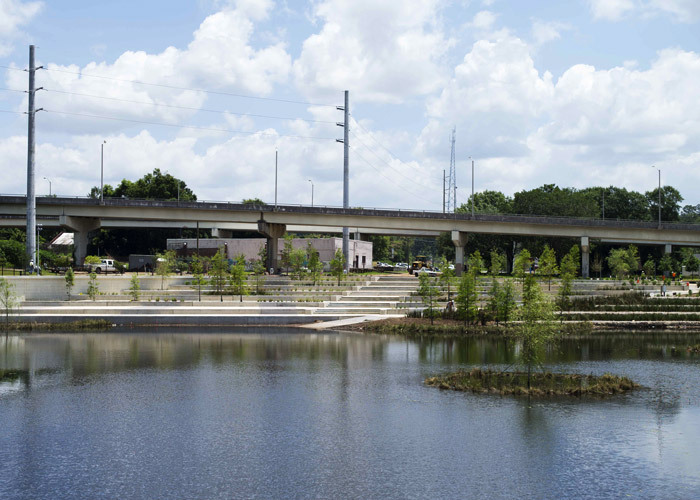 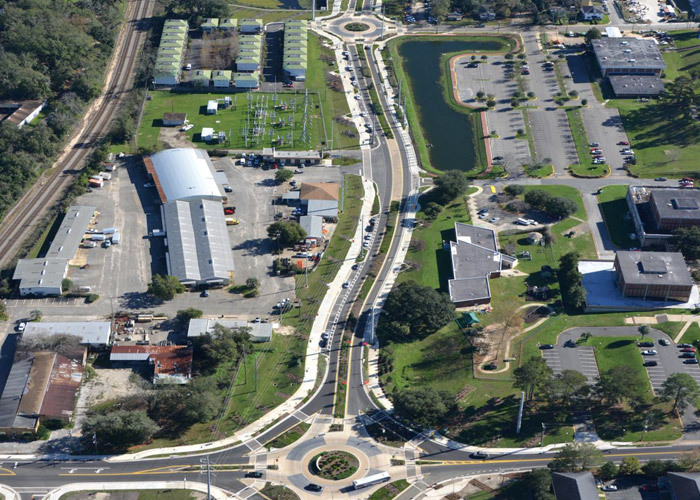 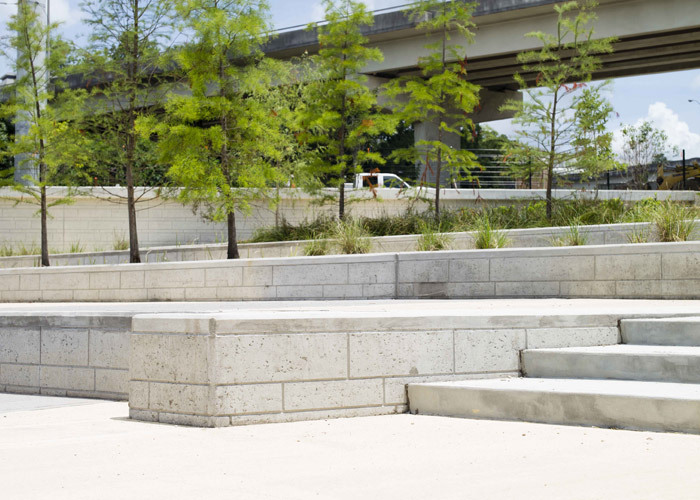 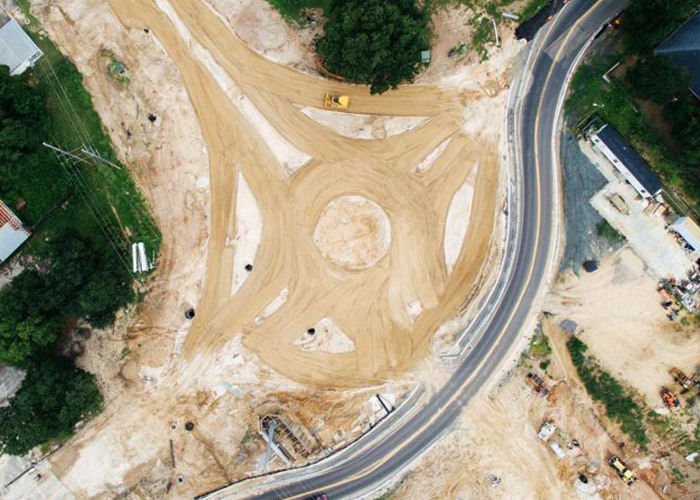 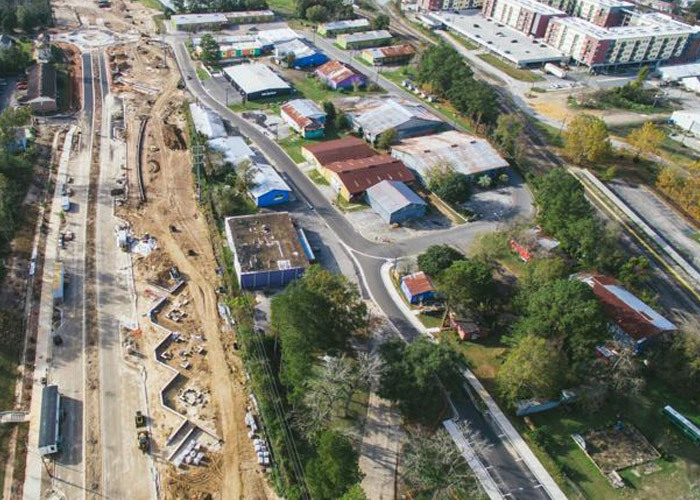 While eventually connecting to Cascades Park via the new pedestrian bridge over Monroe Street, this project also addressed significant drainage issues for Tallahassee’s Downtown area. 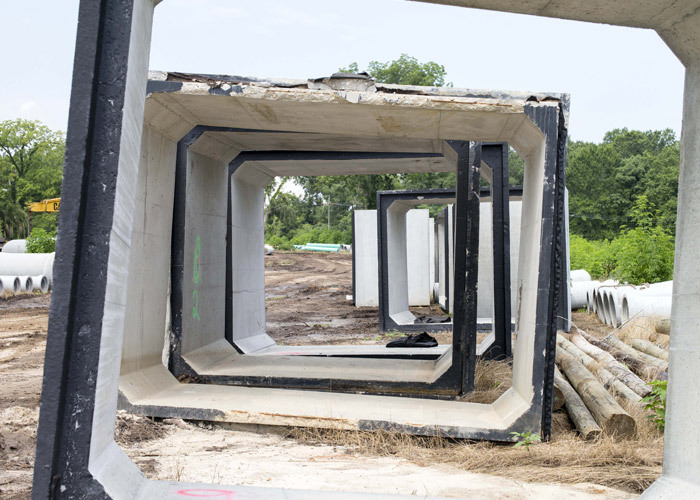 M Inc. converted the open-trench drainage slough into a pedestrian friendly linear park with an underground storm water conveyance system utilizing precast box culvert.